Traditionally we eat the left over turkey the day after thanksgiving for lunch on dill rye. YUM! But these cute cornucopia sandwiches might have to take the place of the trusty rye bread. 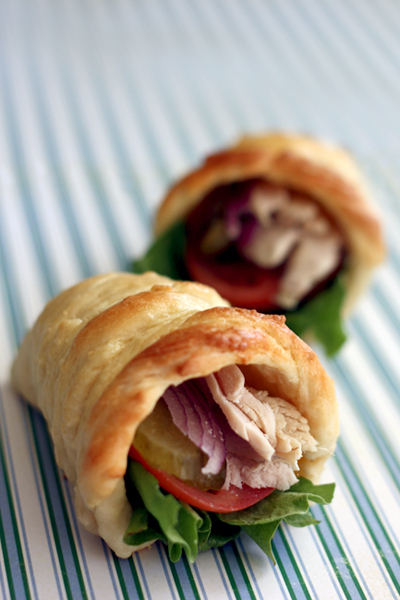 The tutorial will show you how to use store bought dough to create these cute bread cornucopias that you can fill with all all of your favorite turkey sandwich fixing. You can see how to make a cornucopia sandwich over at Diamonds for Dessert. And you can check out more edible cornucopias HERE.